Cartoon vector graphics of a pet dog. Happy pit bull with spiked collar on the neck. Dog with small ears and long tongue hanging out of his mouth. Free vector graphics to create pets, veterinarian, animals, breeds of dogs and domesticated animals designs. 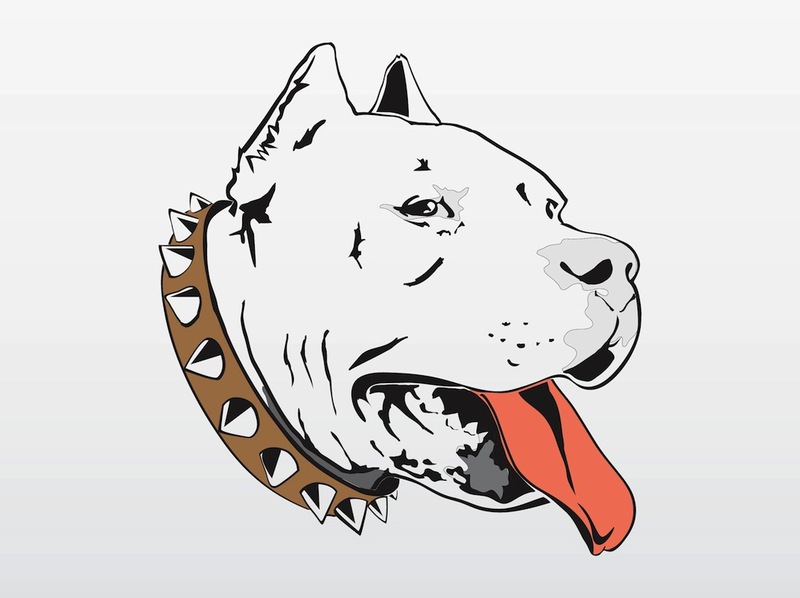 Download free pit bull cartoon. Tags: Animal, Collar, Dog, Pet, Studs, Tongue, Veterinarian.